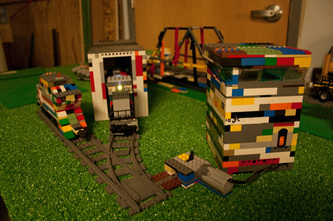 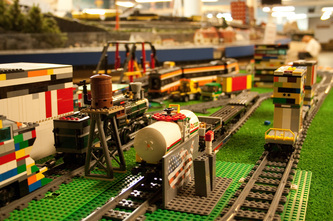 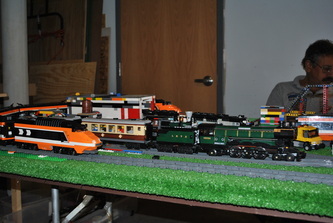 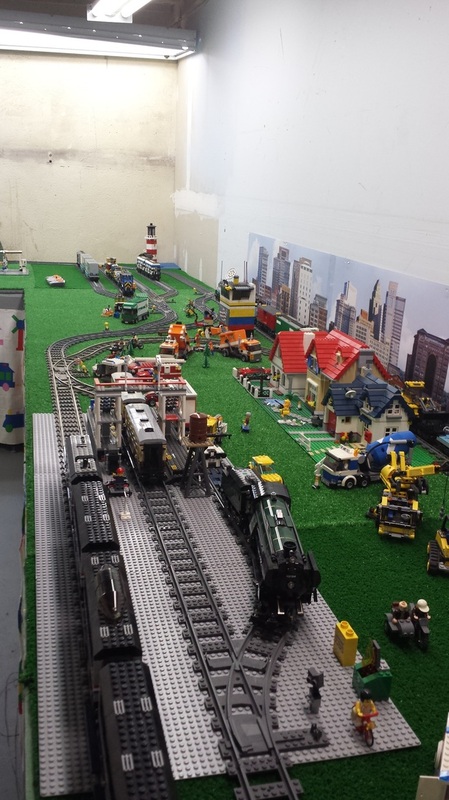 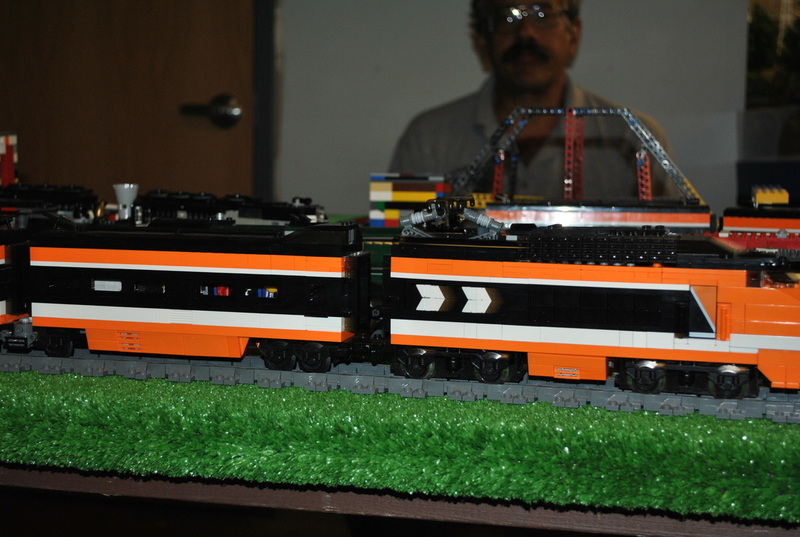 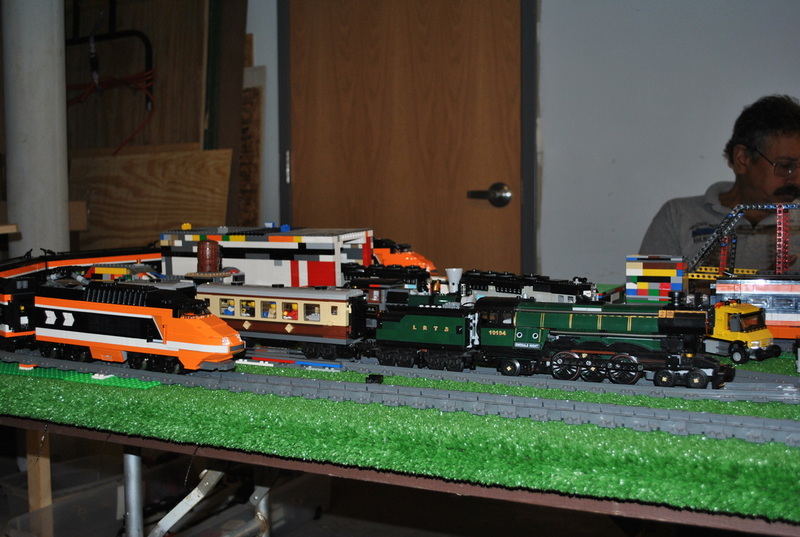 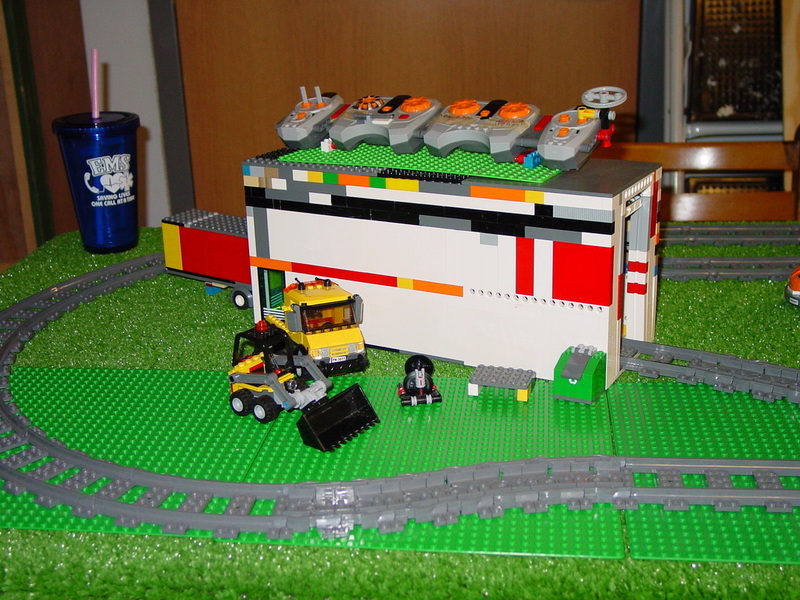 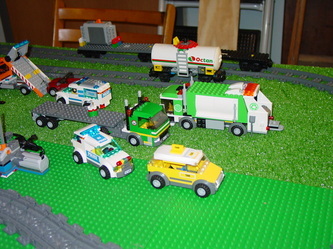 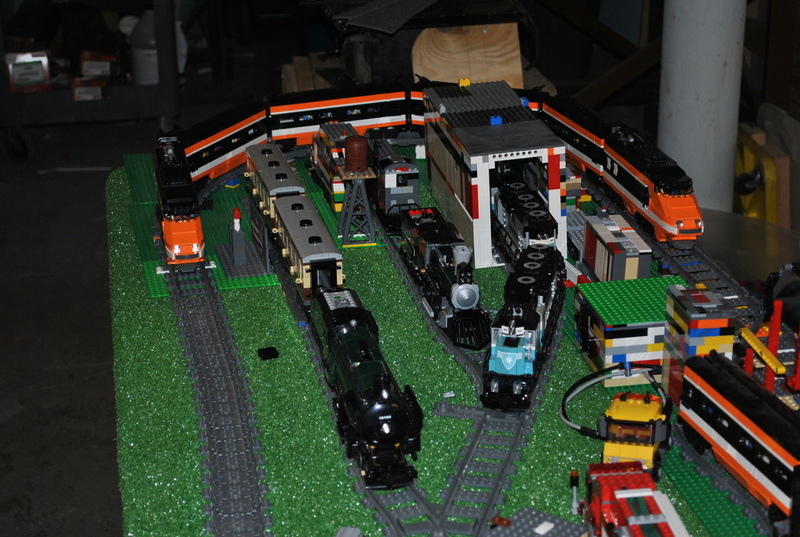 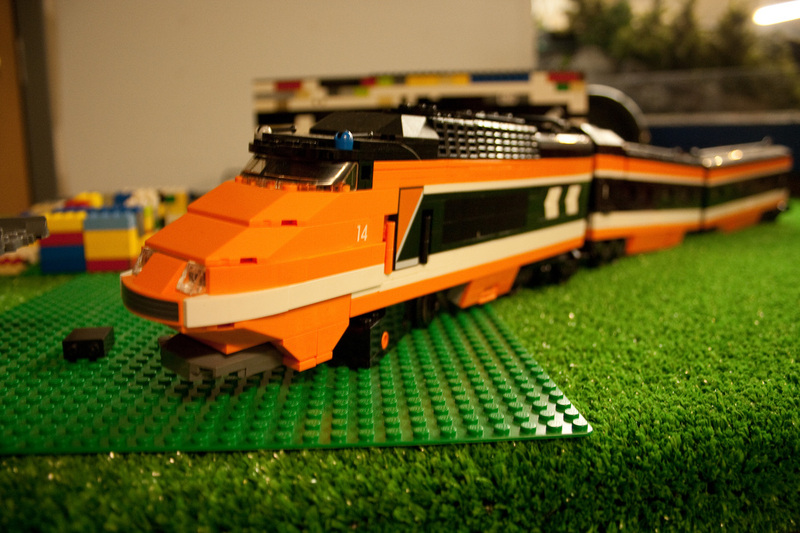 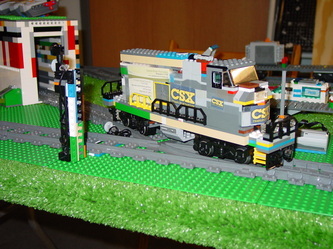 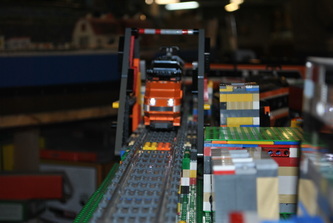 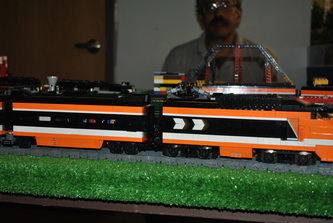 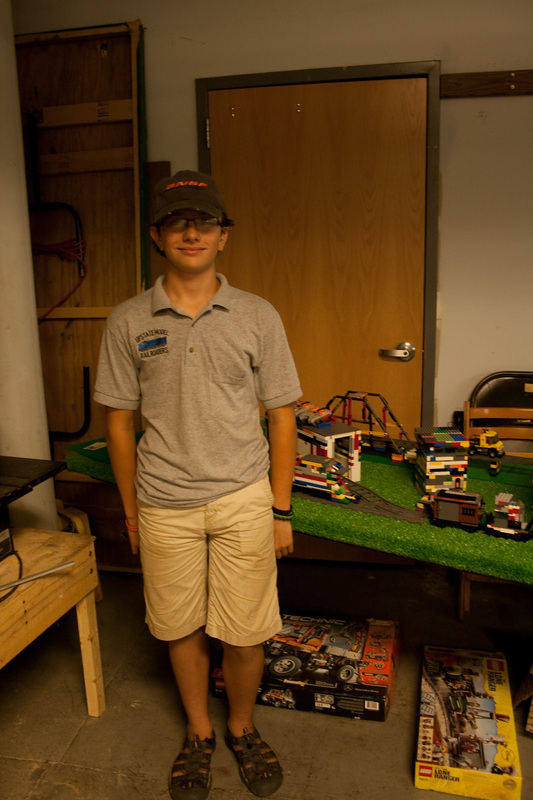 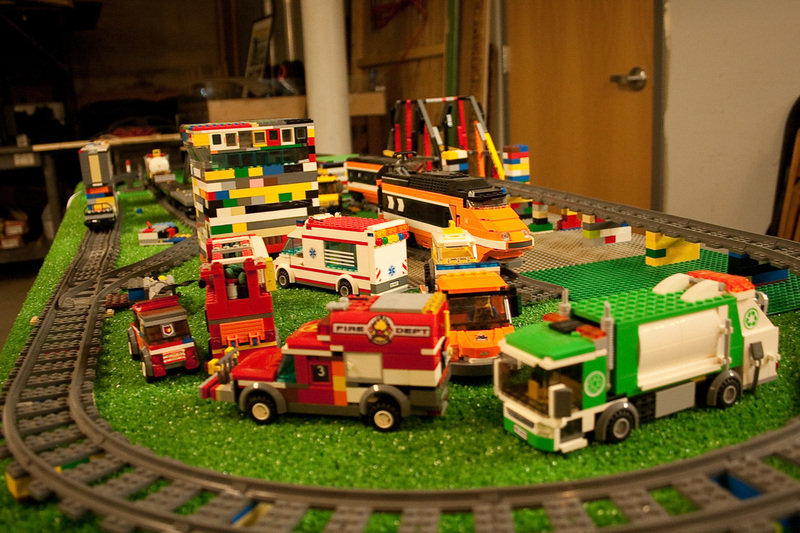 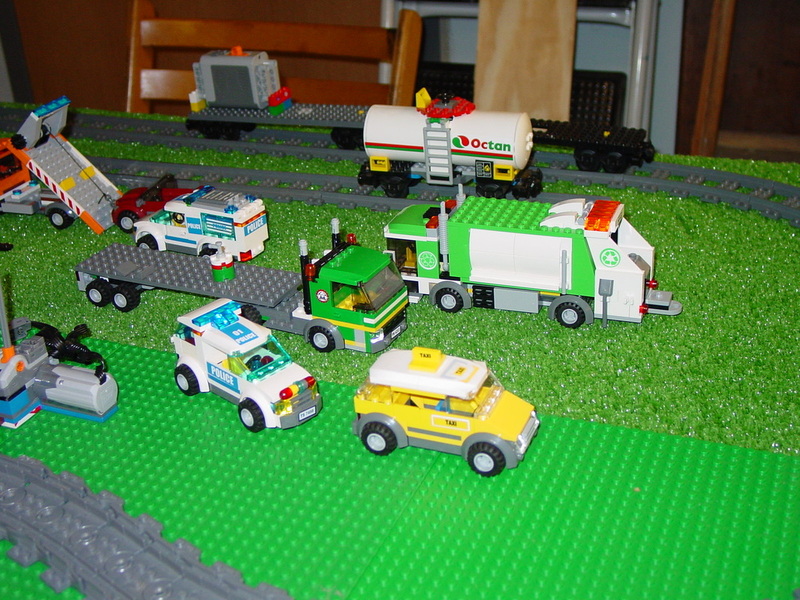 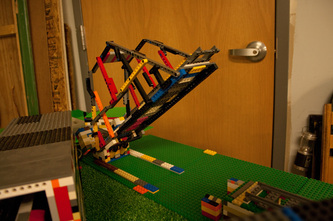 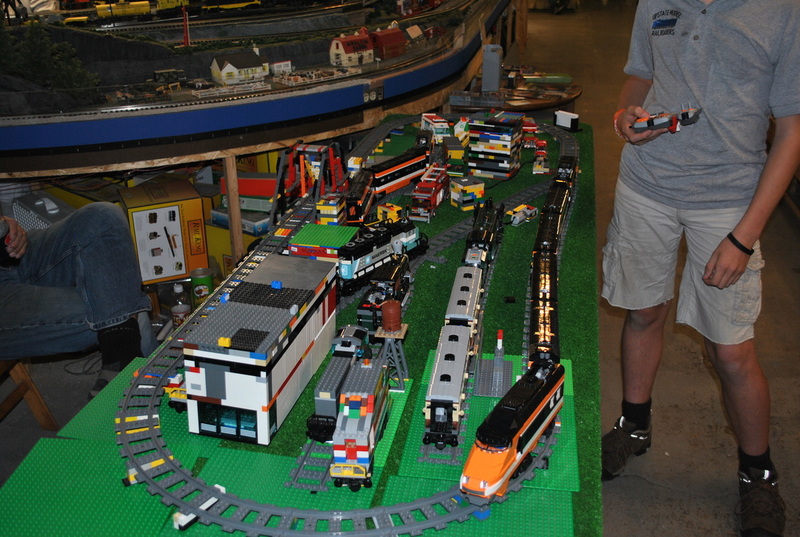 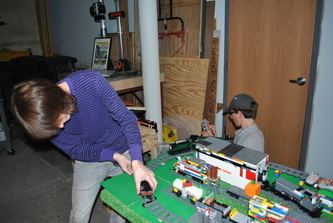 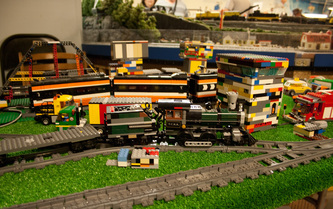 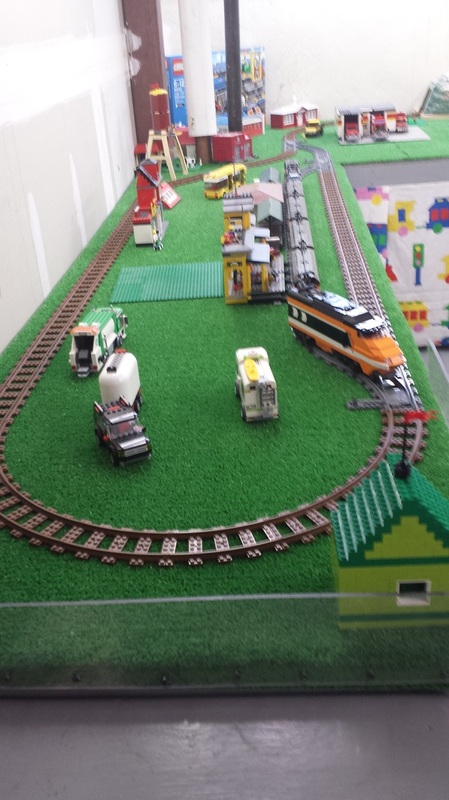 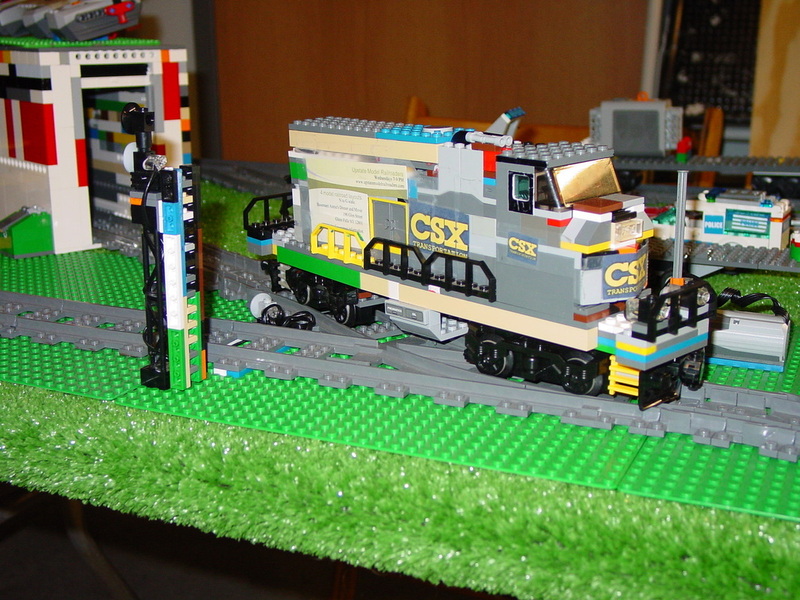 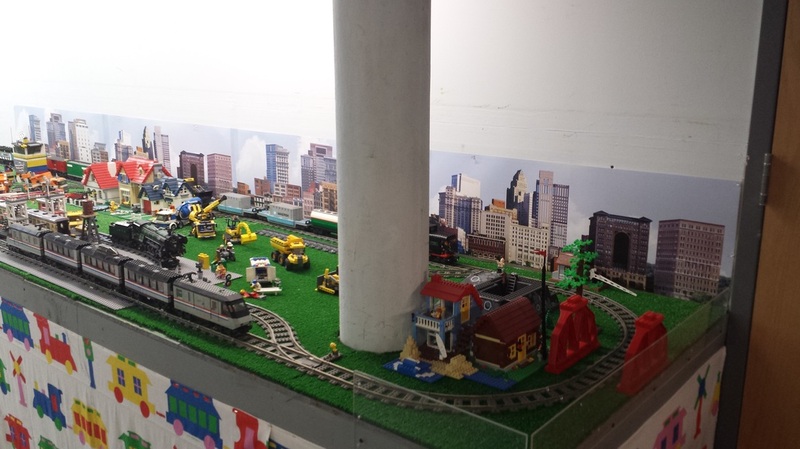 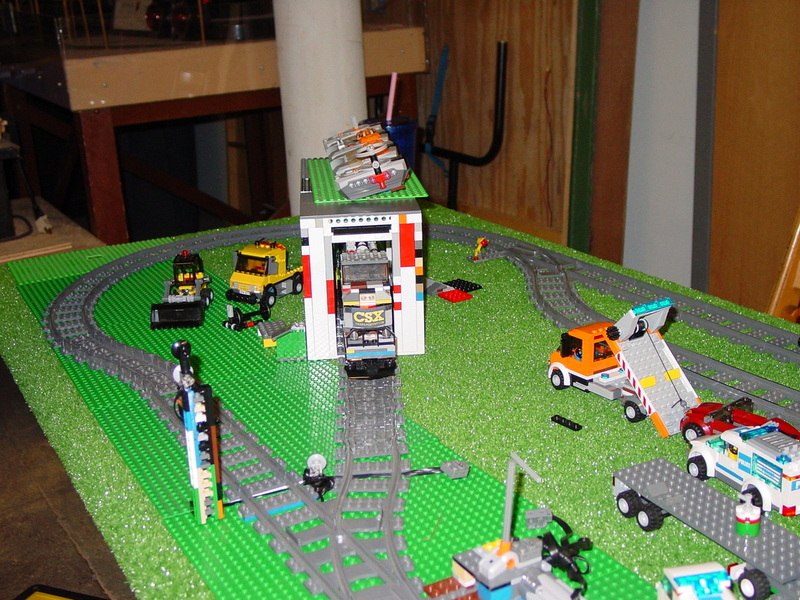 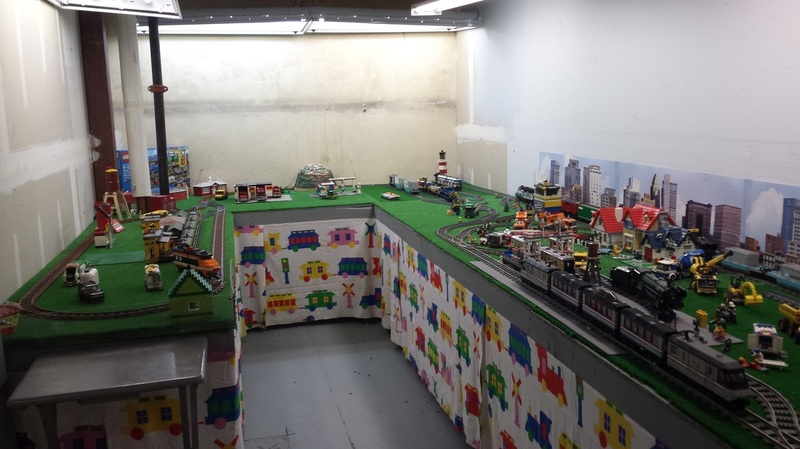 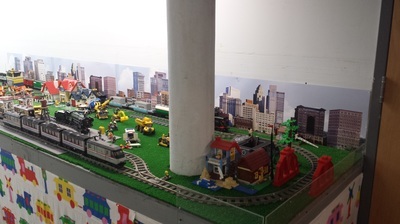 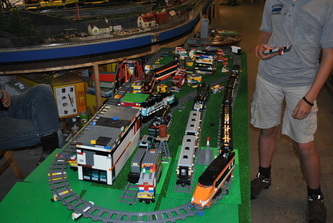 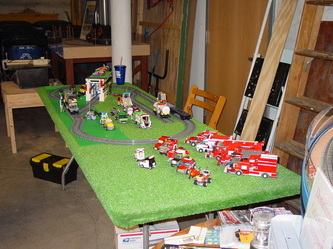 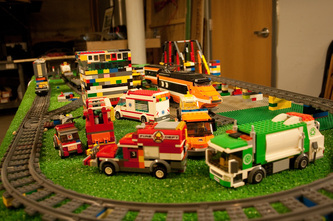 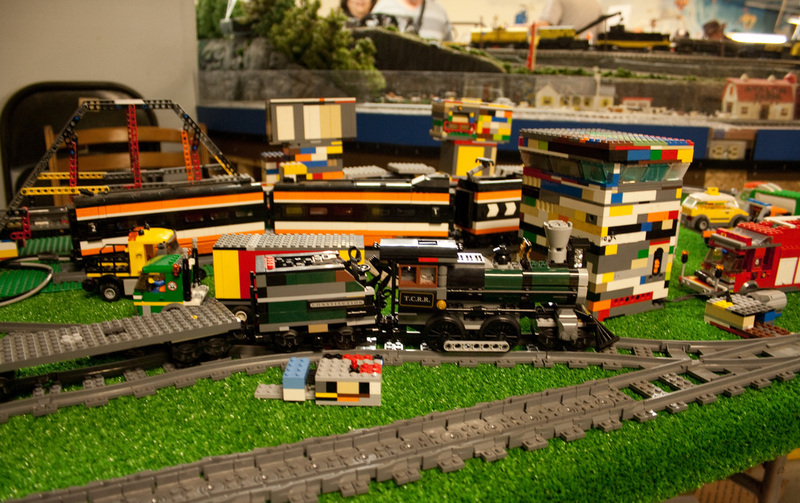 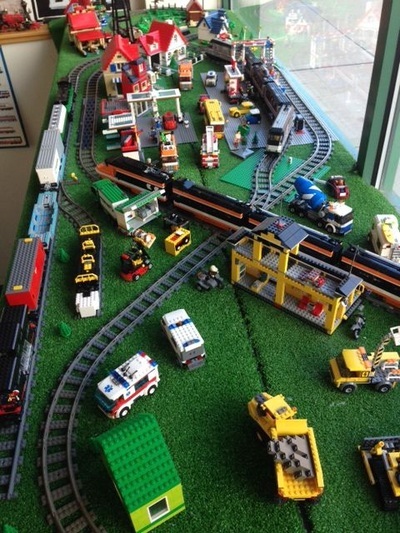 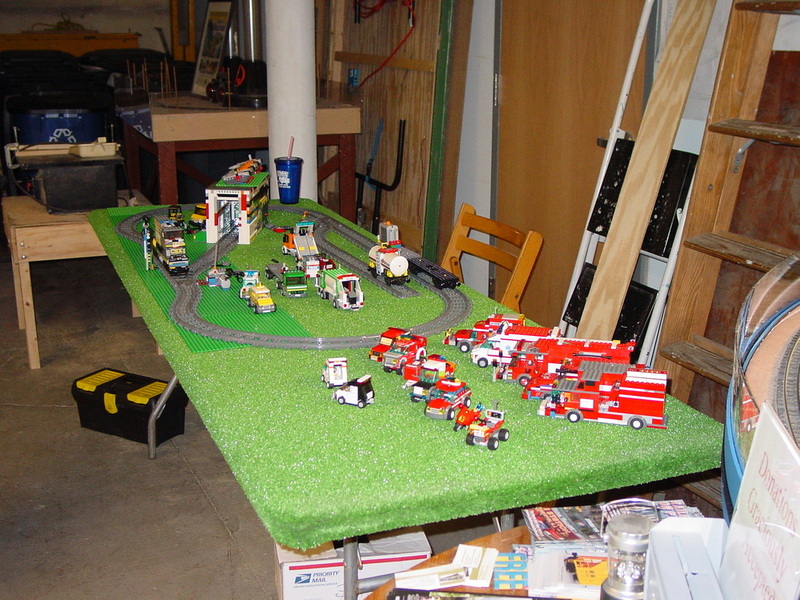 At our former home at 190 Glen St., one of the newest layouts was the Lego scale, started in May of 2013 owned by junior member, 12 yr. old Andrew Deierlein, son of member Thomas Deierlein. 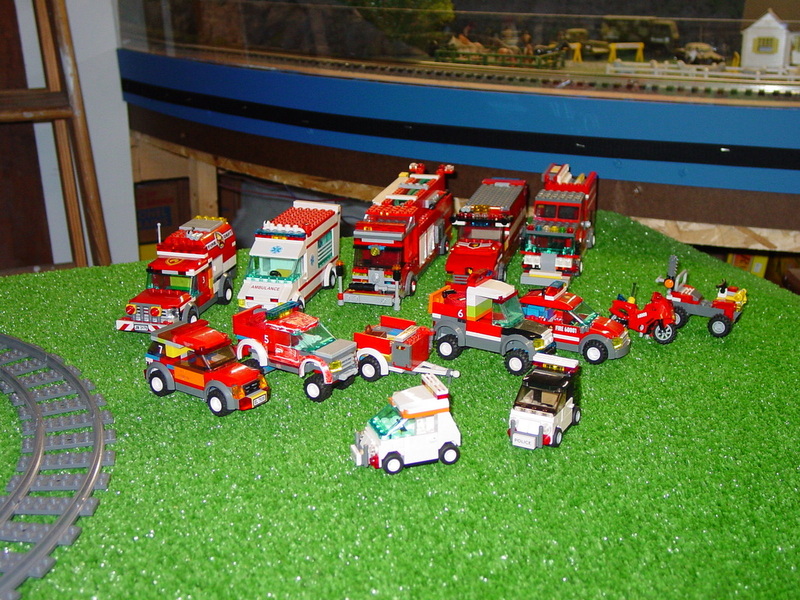 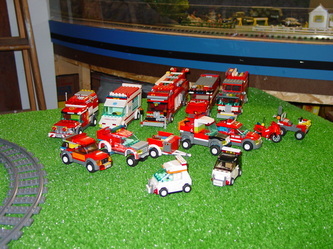 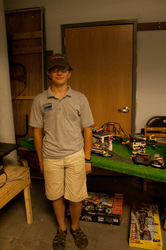 Andrew has been involved with model railroading most of his young life and is also a member of the N Scale group. 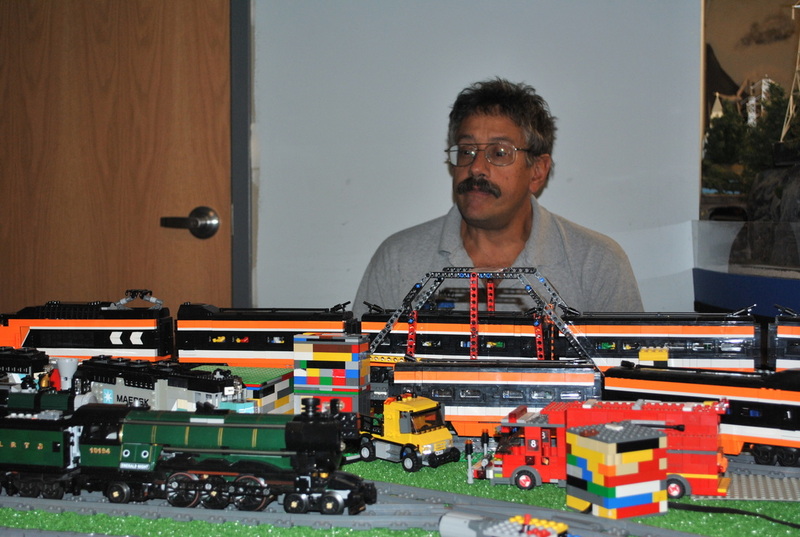 He researches Lego models online for his fledgling layout and essentially kit bashes his supply to form buildings, engines, vehicles and other structures such as a working draw bridge. 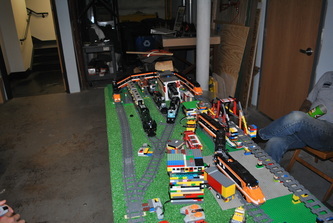 Andrew intends, as time goes by, to add to the layout admitting it is a definite work in progress as well as a labor of love which will hopefully be resurrected at our new location. 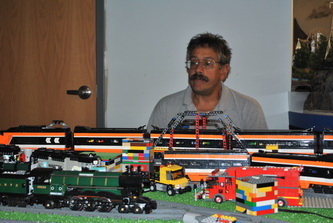 Member Mike Davis helped develop the layout further when he joined the club.